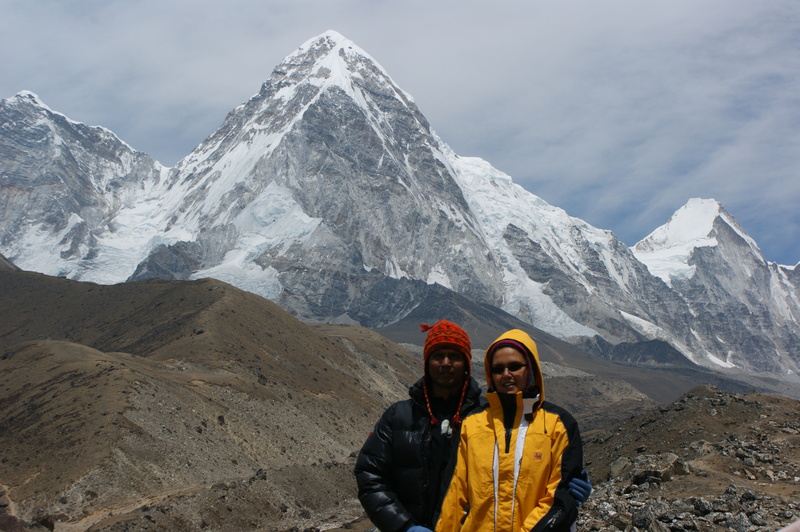 We are Australian-Indian couple with dream to travel, loving every thing associated with travel-adventure. Over last few years we have tried to fulfill part of this dream taking short breaks while working full time. Like so many folks we always yearned to simply go with out being worried about pile of work to come back to and hating the feeling “holidays are finished before they really started”. In upcoming pages we have shared more than glimpses (what usually goes on FB) of our adventurous travels. Why a blog ? Its simply giving back to world what we have been lucky to get a number of times…We are active FB users but we got a number of questions from folks so how did you do this or that. How can I plan a trip like that, what we need and where can I go ..list goes on n on.. Recalling the times we have tried to plan something off the beaten road we found blogs from our fellow travelers tremendously helpful who unselfishly shared information that made a huge difference to our plan…Hence what could be a better way to relive our memories as we type and share our learnings which we hope can help in some way hopefully .. Enjoy your exciting trip! Be happy! Hey! How is it going? Crossed over into Mexico? Crossed over, driving back to back for 3 days to get away from border states and all went well. There was plenty of military around especially in border towns. Now in Campache which is supposed to be start of safe territory and Mayan ruins so looking forward to it. It was a pleasure to meet you!! We had a good time. Good luck for the rest of your journey! It was so nice meeting you, we had so much fun! Safe trip,take care,see you in Belize. Hello! Barbara and René we had a very easy crossing from Mexico to Belize ( it is very easy) – they asked us a few questions like do you have fresh fruits – we answered yes 1 Apple and a Banana – and if we had meat products – all ok just let us pass without a inspection / As you also have a Camper request them to come and inspect the vehicle. Good friendly bar and owners we recommend. how’s the ford running? Been looking at that exact same motorhome? Any issues so far? How about refilling the propane? Hi Roland I have the same questions as Ed, can you copy and send to me please – also if you have needed repairs how is it to get parts? Thanks – following you with great interest. Your trip looks incredible and I have been thinking of planning one similar for next year, however I am concerned about safety (well, my family are mostly!) Have you had any problems? I have heard that having a motor home makes you more of a target, so would love to get your opinion on that and any advice you may have! WE are not very brave or very lucky BUT we had NO TROUBLE or real safety concerns during our 7 month trip from the USA to Uruguay. It was just the opposite the locals were very helpful and friendly. We followed a few simple rules 1) we NEVER drove at night. There are MANY traveler from all over the world doing the same trip most have no problems there are all types of motorhomes some on motorbikes and even on bycycles and people from all age groups even little kids with there parents most people stay safe and finish there trip.Me and my wife will do it again so if are careful you will be safe . I am extremely intrigued, I found your blog by reading one of the traveling websites! I am an army brat, so when I was a child it was the “norm” for us, we traveled, although I’ve never been fortunate enough to go to Mexico, Alaska, Hawaii, Belize the list goes on, i was fortunate enough to go to Germany, Paris, Holland, etc… my husband is not military, he has his MBA, here in the southern U.S even with his degrees, you don’t make much money!! Maybe you could get him in touch with a corporate job, lol, my question is though, how do you afford such a trip? How do you plan it? I saw you crossed from Mexico into Belize correct? How expensive was it to cross there? I have not yet been to Mexico, I am dying to go!! Have wanted to go my entire life!! Was hoping to plan it within the next 6 months or so, BUT, reading everyone’s statements and all of the things you have to do JUST to go, I don’t know!! My mom says she has a friend that lives in TX and goes to Mexico probably once a week to just eat dinner and comes right back the same day, I can’t imagine someone going through all of this just for a night out? Any suggestions, ALSO, the safest areas? I hear you have to be pretty selective on where you go!! This will be /if we go a ladies vacation, so safety is imperative here. Thanks for any and all advice!! Sorry for the LONG reply/questions sir, I am just so intrigued and interested! Be safe in your travels!!
!) Money – we saved over the last 10 or so years paid our house – rented it when we were traveling se we had some income while we were on the road . We were both pretty stressed in our jobs during the financial down turn so we thought it was time to hit the pause button so the discussion was made – we did a lot of research and decided to get on with it. Safety – we never felt UNSAFE during any time on the road including Mexico – although Arun my wife listening to all the news about Mexico did not cross the border on our first attempt we talked about it on the border and abourteed our first attempt. lucky for us the next day we did cross drove for 13 hours until we fely a bit safe away from the border towns . If you have a regular looking car you blend in and no one pays any attention to you the border towns are scary . The Yucatan Penusala is amazing and there are so many Americans in Mexico living it up . You are taking the adventure I have been dreaming of doing for many years. How difficult was Shipping the RV from Colon, Panama to Cartagena, Colombia? What method did you used? (RORO, etc.) I would like to follow your route thru Mexico. In my case I will have the added complication of traveling with my two dogs, but looking forward to doing it. Sorry for the late reply it is easy to ship across the gap depending on the size of your truck camper. Our motorhome was too big for a container se we went RORO .The cost is calculated by cubic meter so different , we spent a bit more as we took insurance and used a broker to help clear customs in Cartagena .Also spent a few days enjoying Panama and lived it UP in Cartagena Colombia. Just the freight cost ua About UDS 2000.00 our shipping company was SC LINES .Agent for them is teakalmbach@hotmail.com . We have seen people do the trip with dogs as one person told us it is only time and money but it can be done . Hi, We are on a trip to South America as well, currently up in Canada heading south in a truck camper. Any advise on a shipper over the gap and the cost? Hello! Darren Sorry for the late reply it is easy to ship across the gap depending on the size of your truck camper. Just the freight cost ua About UDS 2000.00 our shipping company was SC LINES .Agent for them is teakalmbach@hotmail.com . I hope this information helps . Thanks very much for the reply, very helpful!!! Hi. Your trip through the America’s sounds fascinating. What happened after Bolivia? I can’t find a post after April. Thanks. Hy arun and roland. We hope you are well. Wrote several whatsapp-never got answers. Did you change phonenumber? Would be great hear from you. Jim and Jean here. We are New Zealanders and have bought an apartment in Medellin. We intend living there once our yacht currently in Langkawi, Malaysia is sold. Such complicated lives we lead!! Once settled in Colombia we intend to do the road trip to Ushuaia as well. But probably wouldn’t be until 2019 at the earliest. In the meantime we are enjoying your news.